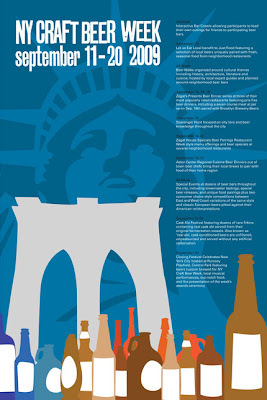 NY Craft Beer Week is COMING! 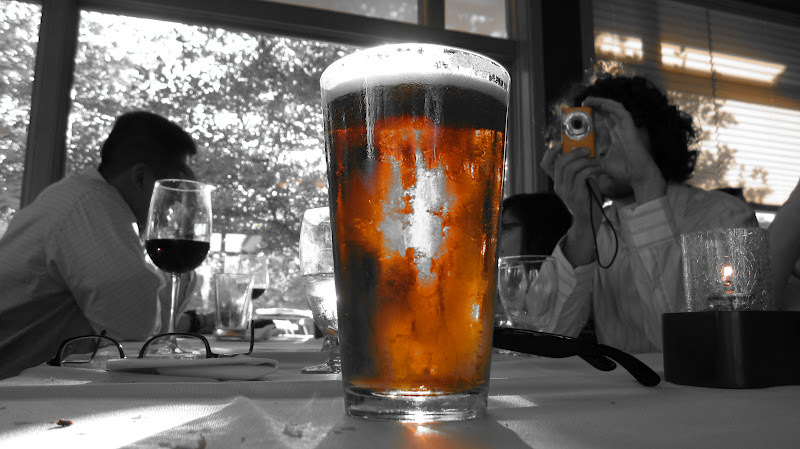 The 2nd Annual NY Craft Beer Week will be taking place at bars across NYC between September 11th and 20th, 2009. Last year was great fun, as I participated in two separate neighborhood beer crawls, one in Park Slope and one in Greenpoint. You end up with a free 8oz glass and a pretty strong buzz. Caught this on the local news last night. Not the greatest of videos, but they make stops at the Brooklyn Brewery and Blind Tiger. I've never been to Cafe D'Alsace, but it seems like it might be a bit too fancy for the likes of me. 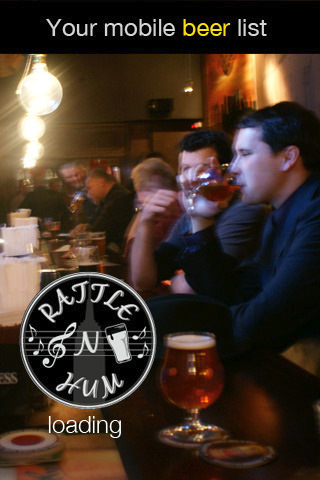 Rattle'n'Hum: The First Bar in the World with it's Own iPhone App! At least, that's what they claim. How has it taken this long? 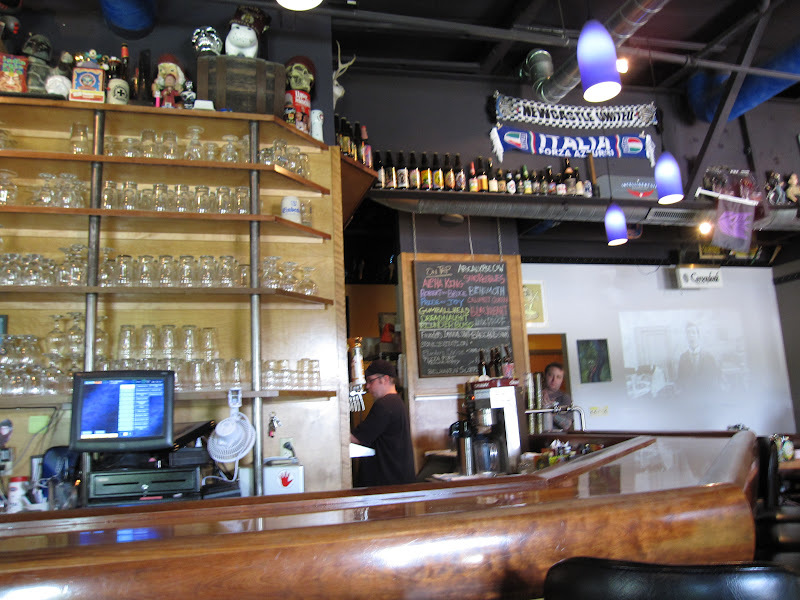 Regardless, it's a great beer bar. 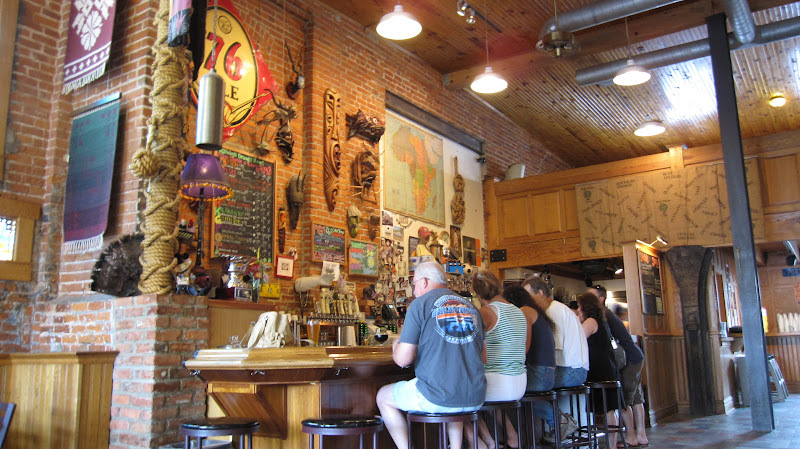 Located on 33rd Street between Madison and 5th Avenues, Rattle'n'Hum is sort of an oasis of craft beer in a sea of suits and tourists. 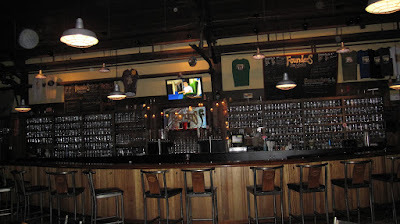 It features over 40 beers on tap plus 4 hand-drawn cask ales. But anyway, the iPhone app! I just downloaded it (it's free, get it here) and it looks great! As you can see from the pics above, it features a current lists of draughts, casks and bottles (which doesn't seem to be up just yet). In addition to those, they have their events list, a map and an option to call them directly. This all looks good and seems to operate smoothly. Now...do they actually update their beer lists? I first looked at it last night and then for the second time this morning, and the list had already changed. So I'm guessing they do! But in order for this app to be useful, they'll have to really really keep it updated. I guess the question remains about whether or not every bar would need its own iPhone app, as I can foresee my phone getting cluttered with tons of bars keeping me up to date of what's on tap. But for now, I'll gladly be checking this out and likely heading there more often. A brief sidenote, RNH operates awesome brewery tours that I haven't been able to take part in just yet, but check them out here. 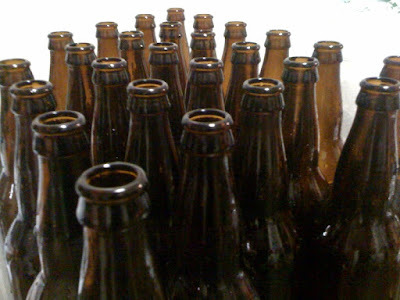 This past Tuesday night, we bottled our first ever Dubbel. We used a partial mash (half grain, half extract) and based it on a recipe found in Zymurgy Magazine. This was a large batch, weighing in at a grand total of just over 10 gallons. This required exactly 60 bomber-size (22oz) bottles. Co-brewer Tim brought back all these bottles from Maryland Homebrew. 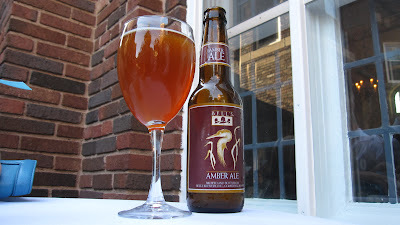 It was a great relief to find that this beer is tasting very good thusfar. Here's to hoping the carbonation process goes smoothly and come September this makes for some satisfied tasters. I'm not sure how it'd feel to see people pouring out our homebrew. The final leg of our trip took us from Grand Rapids to Kalamazoo, MI before finally making the long trek back to the east coast. After a brief stop for the best donuts ever at Sweetwater's Donut Mill, we landed at Bell's Eccentric Cafe. 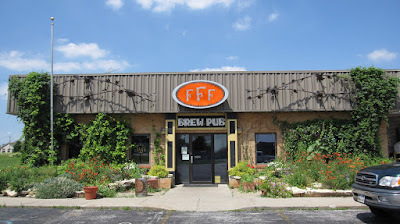 After how interesting both Three Floyds and Founders were, we didn't really have much in the way of expectations for this place. But it somehow was able to emerge as the brewpub that we want to return to most. Not to say anything bad about either of the previous two, but each one is just great in its own way. We only had time to split one beer, as we knew we'd be spending a good chunk of time in the General Store right next door, but we decided to try the Bell's Kal-Haven Ale, one I had never heard of before (and perhaps is a brewpub exclusive?). 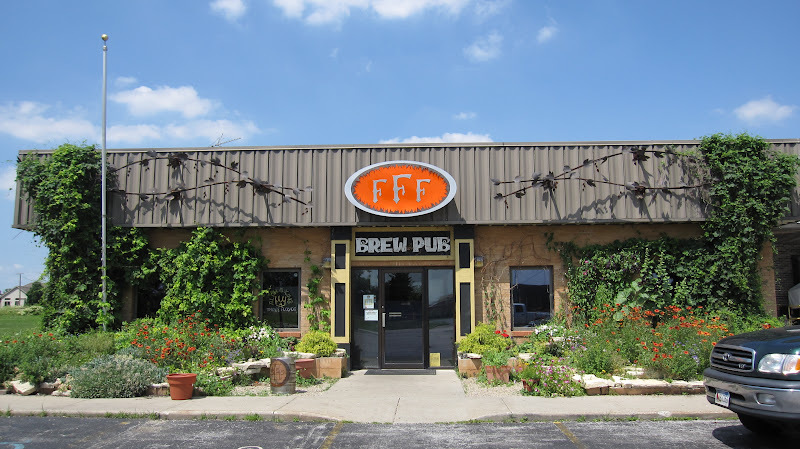 It's quite good, but I barely remember it as we were sort of sipping while in awe of the large space that we could only assume used to house the large brew tanks that are now located in Galesburg, MI, a few miles down the road. 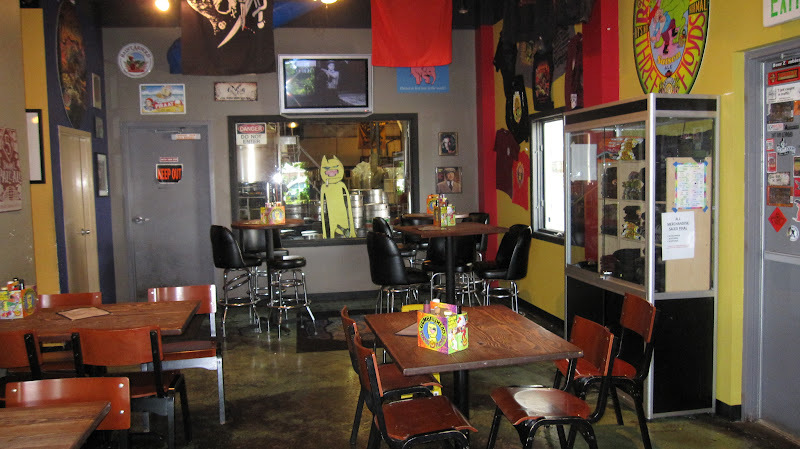 The space that the brewpub occupies dwarfs that of Three Floyds. It includes, as you can see above, a large outdoor area, split into two sections. 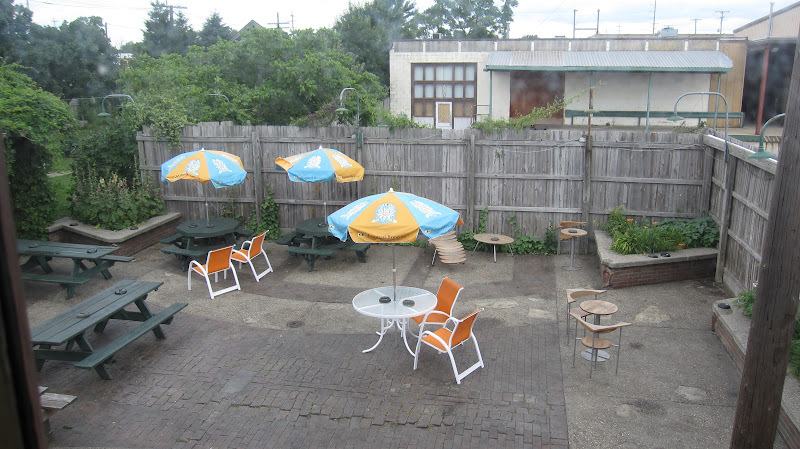 The first is immediately as you step out the back door and includes some patio furniture and benches for general outdoor imbibing and chowing down. 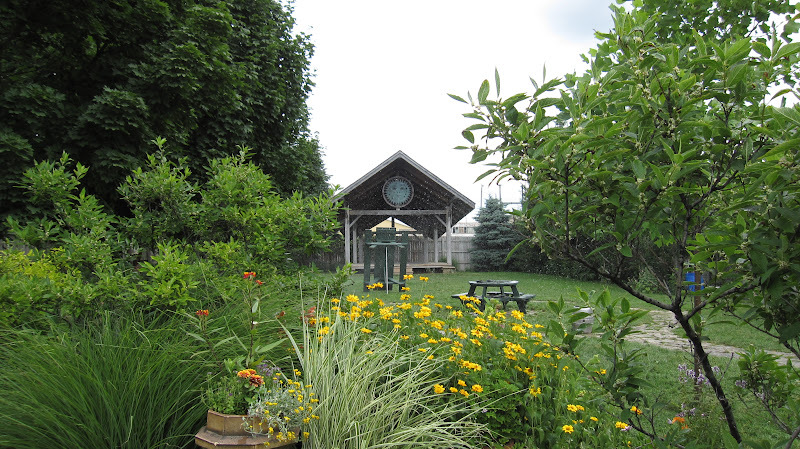 Next to that there is an even larger area that is grass-covered, with a small stage in the very back of the yard. This would indeed be an excellent place to see some live music in the summer. Too bad we were there at 11:30am. 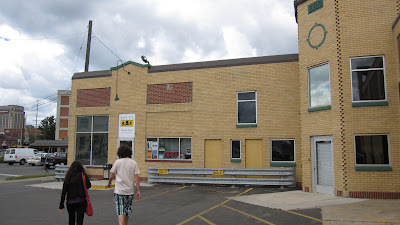 After we finished up our single beer and poked around a bit, we headed around to the other side of the building that houses the General Store. Here you can buy all sorts of Bell's merchandise from t-shirts to frisbees to COLD BEER TO GO! So of course, this being our final stop, we grabbed as many different single bottles as we could. Then we found something we didn't expect. They have a whole homebrew supply shop within the General Store! And on top of that, our American Homebrewer's Association memberships would get you a discount on any and all supplies as well. Not bad at all. If only we had more room in the car, we could skipped an order from Norther Brewer and saved on shipping. We jumped back in the car and began the final leg back of non-stop driving, arriving back home JUST after midnight. 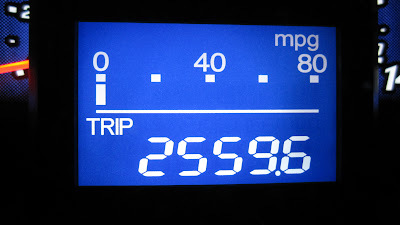 When all was said and done, we had traveled a grand total of 2559.6 miles. It was a great trip and it's obvious that a return is necessary. 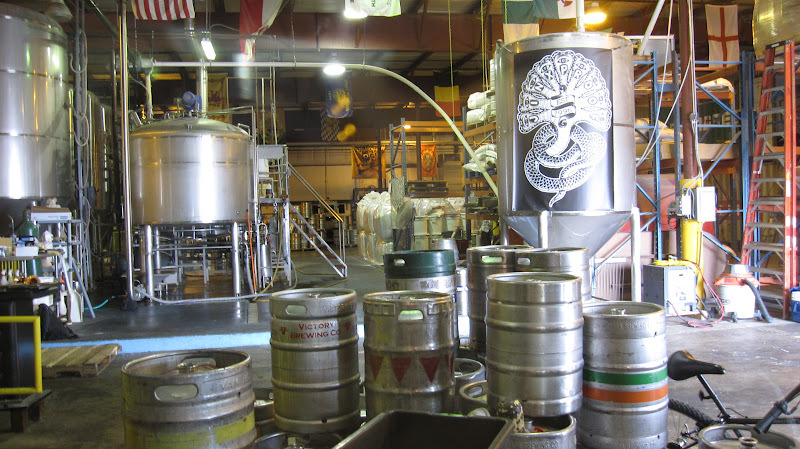 Plus there are so many other great breweries around there that we didn't have any time for. Midwest, you're good at beer. 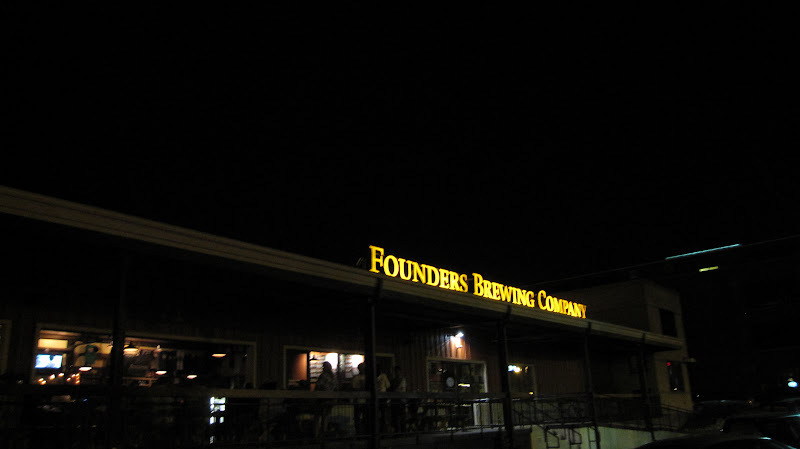 We left Minnesota Sunday afternoon with an end-goal of getting to Founders Brewing Company in Grand Rapids, MI by midnight. We very much wanted to make a stop at Woodman's Food Market in Madison, WI, based on excellent BeerAdvocate reviews and the fact that they claimed to have a wide array of New Glarus beers that aren't available outside of Wisconsin. I've already posted about it, but Woodman's is HUGE. Huuuuuuuuuuge. With limited time, we had to quickly peruse through the vast selection to find the best beers we wouldn't be able to get at Founders or Bell's, which unfortunately made us skip over the Bell's Consecrator Doppelbock which wasn't available at the Bell's General Store. Either way, we purchased a large amount of New Glarus including 12oz bottles of Dancing Man Wheat, Fat Squirrel Ale, Unplugged Bohemian Lager, Unplugged Imperial Saison, and 750ml bottles of Wisconsin Belgian Red and Raspberry Tart. That's a lot of beer! 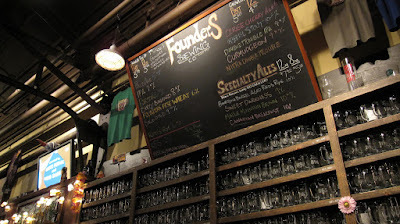 We were immediately concerned about how we were going to be able to fit Bell's and Founders into the car too. But we pressed on. 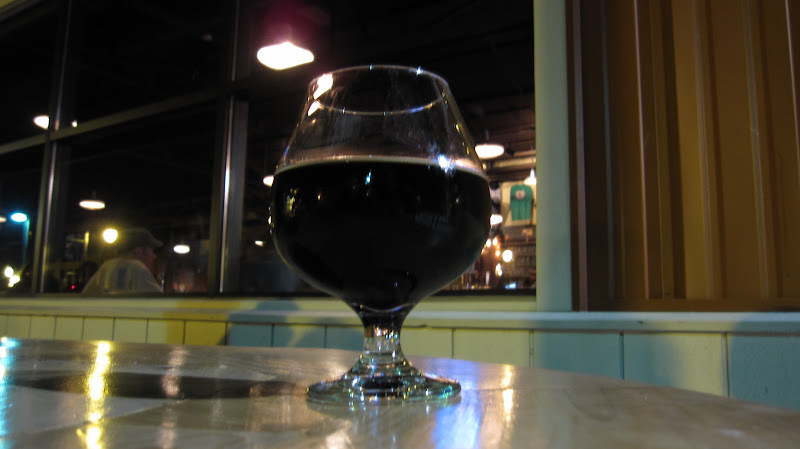 Kentucky Breakfast Stout!? Quite possibly my favorite beer of all time. CANADIAN Breakfast Stout?! Crazy. Having either of these beers on tap is pretty much once in a lifetime opportunity for an east coaster. I started with the Canadian Breakfast Stout, which was A+ (BeerAdvocate users seem to agree) and then had the Sweet Darkness and the Maple Mountain Brown. I also shared with Jeff, who had the Kentucky Breakfast Stout and Bourbon Barrel Aged Red's Rye. 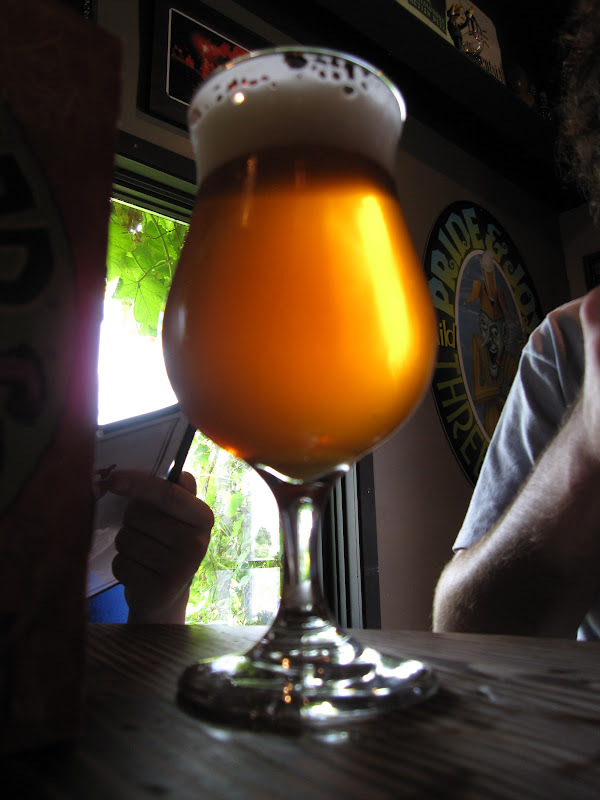 The only real problem we had with this wonderful experience was that our palates were blown out by the second beer. That doesn't mean they weren't great though. I think we left sometime around 1:30 or so, and it felt like we were the only people left in there. We got some Double Trouble and Porter to go, mainly because the other beers they had to-go are usually able to be found in NJ. We crashed for the night at the Radisson in Grand Rapids and geared up for one more day of driving and one last beer destination: Bell's Brewery in Kalamazoo, MI. Midwest Trip Part 4 coming soon! 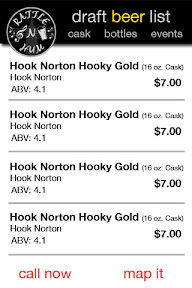 When we arrived in the quaint little town of Northfield, Minnesota for our friends Ian and Catherine's wedding, we knew of a few beers available around those parts that aren't readily available in NYC. 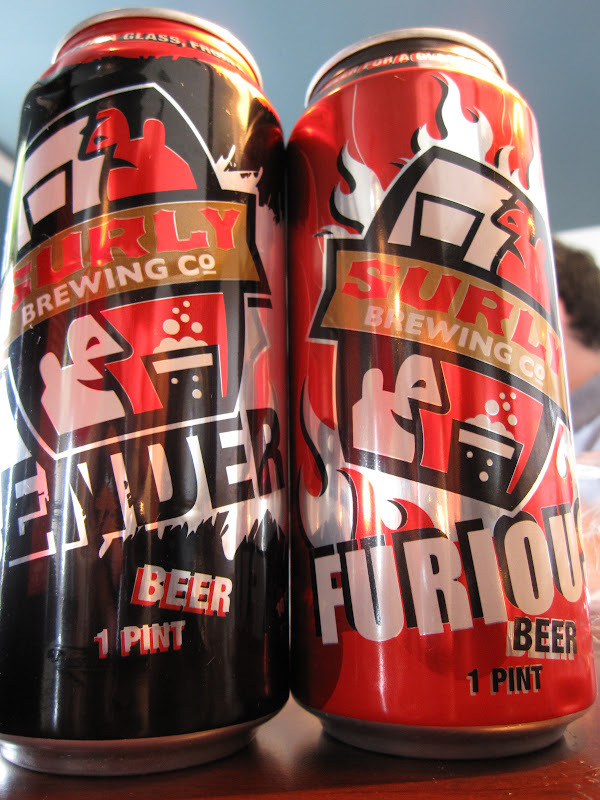 Priority #1 was Surly Brewing Co., the Minnesotan craft beers in cans. Unfortunately we didn't have a ton of time, so we made a quick stop into the liquor store and found the Surly Furious and the Surly Bender. These further prove that craft beer in a can is a GREAT idea. Oskar Blues Dale's Pale Ale is very good, but Furious and Bender are great. I had previously tried the Surly Furious IPA at an event at Barcade in Brooklyn, but the Bender was new to me. I don't believe I had ever had a brown ale in a can before, but wow is this good. 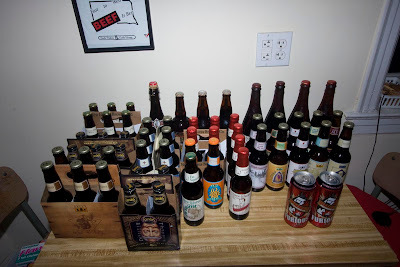 Wish we could have brought more back with us, but we had to save room for upcoming breweries. We also managed to get our hands on some New Belgium beer, perhaps most famous for their flagship beer Fat Tire, which has been rumored to be the gateway beer for many BudMillerCoors drinkers to make the jump to craft beer. 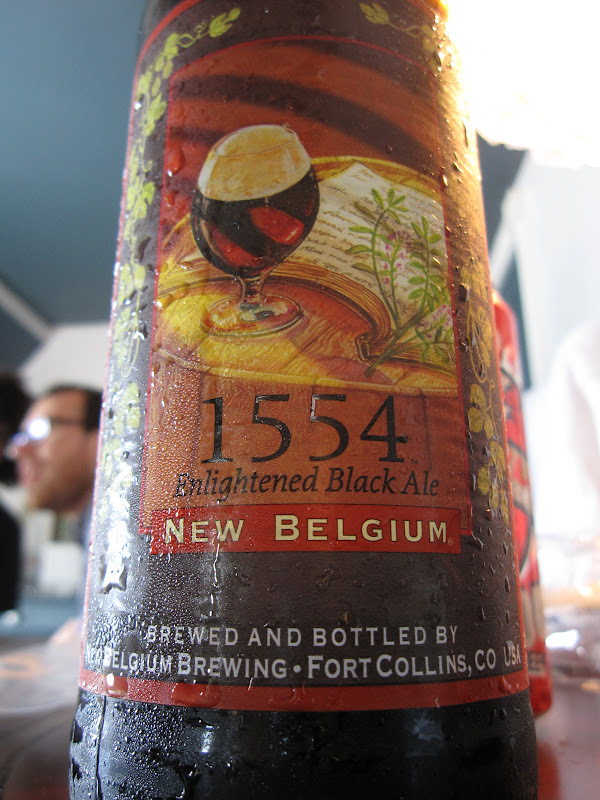 We purchased 1554 Enlightened Black Ale (a Belgian Dark Ale) and Mothership Wit (an organic Witbier). Both are rated with an average of a B on BeerAdvocate, and we all seemed to agree. It's decent beer, and definitely worth buying, but overall neither really challenged our palates as the Surly had done. We mainly sipped all these brews while getting ready for the wedding. Speaking of the wedding, SOMEHOW Jeff and I were able to connive Ian & Catherine into supplying craft beer for their wedding reception. Just kidding! Kinda. Ian knows good beer. And it just so happened that he was getting married in the midwest (in the hometown of his now-wife Catherine), the land of Bell's! So he decided to not allow any yellow light fizzy lagers, and instead have the local choices of Bell's Amber, Bell's Two-Hearted Ale and just to make it super-local, Leinenkugel's Sunset Wheat. This basically put us in beer heaven. Unlimited free Bell's beers? Not to mention a ton of our best friends partying? Yeah, definitely awesome. Congrats to Ian & Catherine! Midwest Trip Part 3 coming soon! On June 24th, my friend Jeff, his girlfriend Cinzia, my girlfriend Tash and I set out on a road trip to Minnesota for our friends Ian & Catherine's wedding. It would be a 6 day long trip and give us a great excuse to drag the girls to a couple different breweries. Our first beer-related pit stop was at Three Floyds in Munster, Indiana. A great brewery (an A- average on BeerAdvocate) whose beers are nearly impossible to get your hands on in the NY/NJ area. We arrived about 15 minutes before they opened at 11am (CST, which made things difficult for us EST'ers). It's a bit of a strange location, tucked away in an industrial park surrounded by nearly faceless warehouses and the like. We were surprised that there were about 5 other people outside of our group of 4 that were waiting to get in too. On a Thursday afternoon! 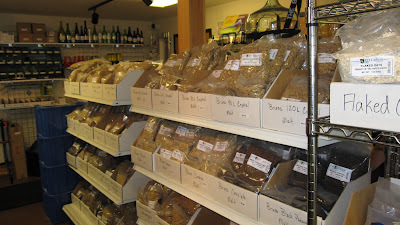 It was milliseconds between when we first opened the door and when the vibrant aroma of grains permeated our nostrils. This place was going to be awesome. What a cool hangout space this is. 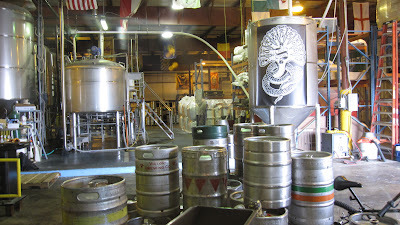 Tons of interesting stuff to look at PLUS wonderful beer. One nice little touch we noticed is that they keep other breweries' beers on tap as well. Very cool. As you'll see above, there's one section of seating that has a window so you can look directly into the brewery and see the masters at work. The only downside to this stop was that we couldn't take too long, as we had planned on stopping for a bit in Chicago and also making it all the way to our destination in Minnesota by the end of the night. This was also all being done on no sleep at all, so that made it a little more difficult. 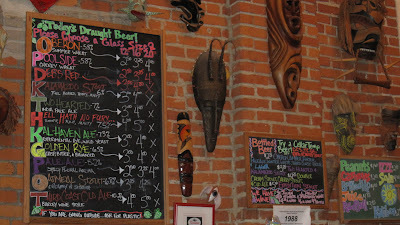 While there, I had the Sand Pebbles American Brown Ale, the Dreadnaught IPA and the Gumballhead American Pale Wheat Ale. Jeff had the Blunderbuss and the Alpha King APA. We were very tempted by the wonderful smelling food being served nearby, but alas, we hadn't the time and had to get back on the road. We bought 3 bottles to go, though: Blackheart English Style IPA, Apocolypse Cow IPA and Popskull Old Braun Ale (a collaboration with Dogfish Head), all bombers. Midwest Trip Part 2 coming soon! Classified a Belgian Strong Dark Ale, Collaboration Not Litigation is a good representation of how my palate has changed. When I first tried this from the bottle way back in 2007, I thought it was excellent and insanely strong, and that's about as far as I could go with it. 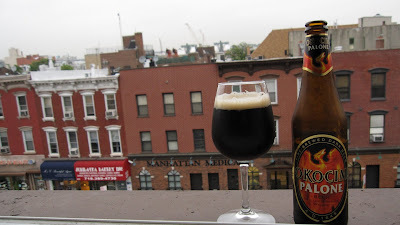 I had it again, this time on tap at Habitat in Brooklyn, and I realized this isn't THAT great of a beer. BA seems to agree with me, but you have to realize that this brew was more of a gimmick than anything else. Avery made a beer named Salvation. So did Russian River. So what to do? Sue eachother's asses off? Nah. Combine 'em! Cool idea. Okay beer. Wow. Just wow. This place is packed to the gills with craft beer. Not to mention TONS of other stuff as well. 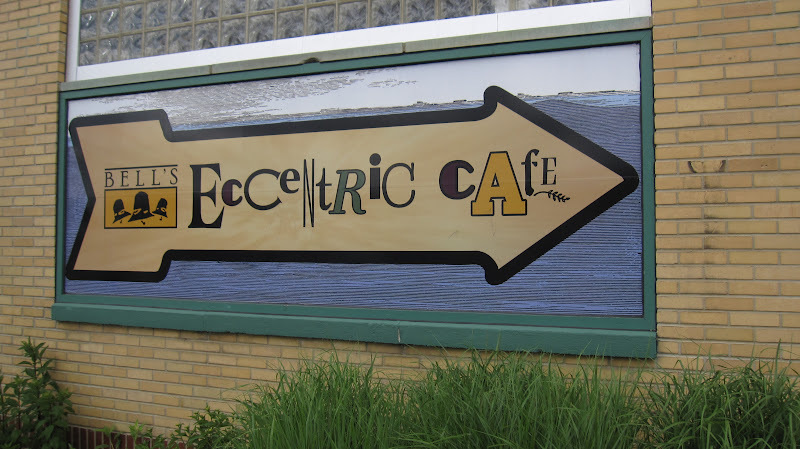 We stopped here on our return trip from the midwest (which I'll be posting a detailed entry on later) after doing some research on New Glarus and craft beer in Wisconsin. This was one of the highest rated beer stores in the state, and we just so happened to be traveling through Madison, so we made a brief stop. 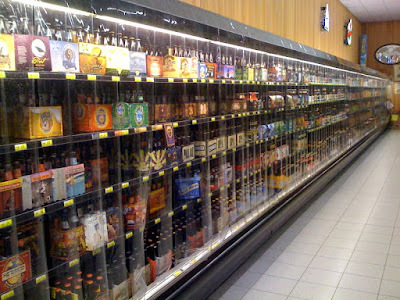 It's slightly reminiscent of my photo of Boonton Liquor Outlet Wine Cellars but I have to give it to Woodman's as the best beer store I've ever been in. The picture above doesn't truly do it justice as far as selection goes. Hundreds of six packs, single bottles and cases. 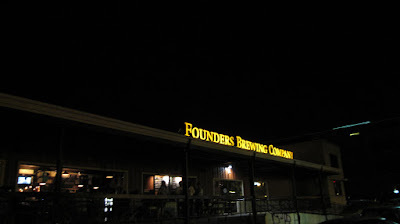 It would have been far too easy to spend hours pining over every single bottle, but we had a goal of getting all the way to Founder's in Grand Rapids, MI that night, so we had to be quick. 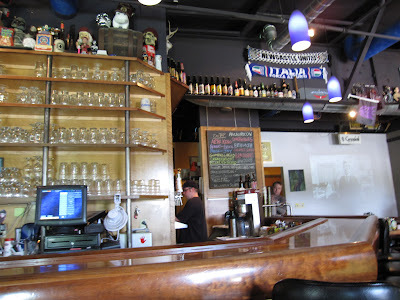 We picked up as much New Glarus as we could handle and hit the road. If I'm ever in Wisconsin again, I will absolutely be stopping there. If you live in Greenpoint like I do, it's hard to escape the massive amounts of Polish beer that's sold and consumed in the area. The three major ones you'll find are Tyskie, Żywiec and Okocim. Tyskie is owned by SABMiller, Żywiec is owned by Heineken and Okocim is owned by Carlsberg. So right away I'd be reaching for Okocim over the other two. 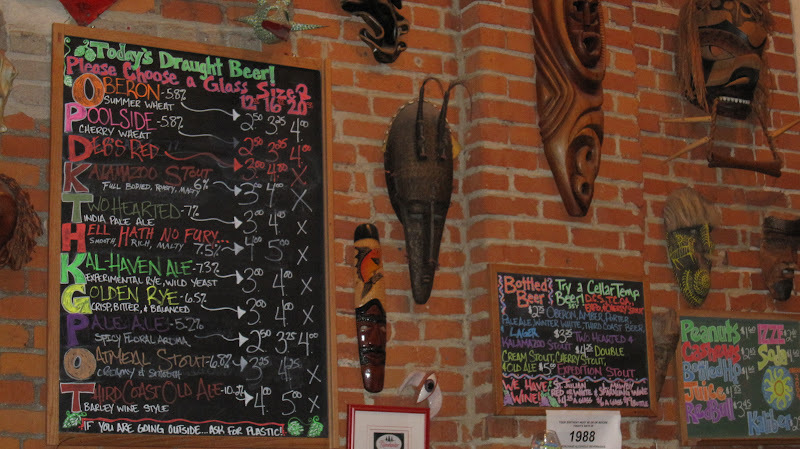 But a quick perusal of BeerAdvocate lead me to realize that none of these are highly regarded. Yet one stood out to me. Okocim Palone. It claims right on the bottle that it's "fire-brewed dark beer". And it has a freakin phoenix on it!! BA is down right now so I can't link to the reviews and info that I wanted to, but just know that this was not TOO bad. Not too great either. But if you find yourself stuck in Little Poland (Greenpoint) or Poland ITSELF, go with Okocim Palone. It has a little taste to it, unlike the rest of the Pale Euro Lagers that they make. 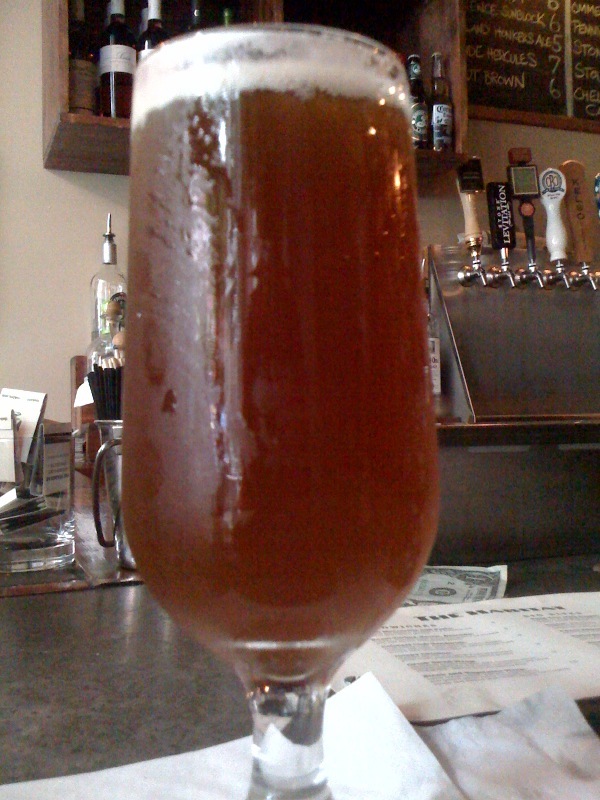 Bear Republic Racer 5 IPA. This one seems to be becoming more and more available to me in the NYC area, as this was found in my local bodega (to my surprise). My memory could be serving me poorly, but I don't remember seeing it before a year or so ago. It's damn good and can usually be found for about $5 per 22oz bomber. Highly recommended. 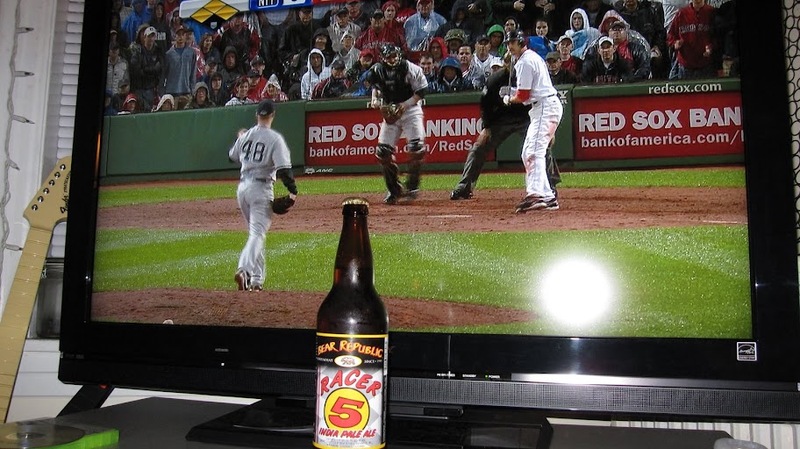 You'll also notice that this is a shoddy picture taken during a Red Sox routing of the Yankees. I definitely grumbled and drank the beer a liiiiiiiiittle too quickly to savor it. If the Yankees can ever beat the Red Sox again, I'll take my time.